You can now enjoy 500,000naira discount when you buy into Imperial Gardens located right inside the heart of Abijo GRA. 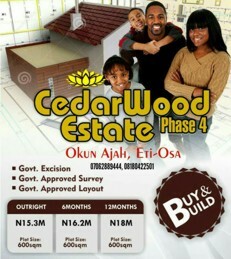 Plot of land is now 9,500,000 naira. 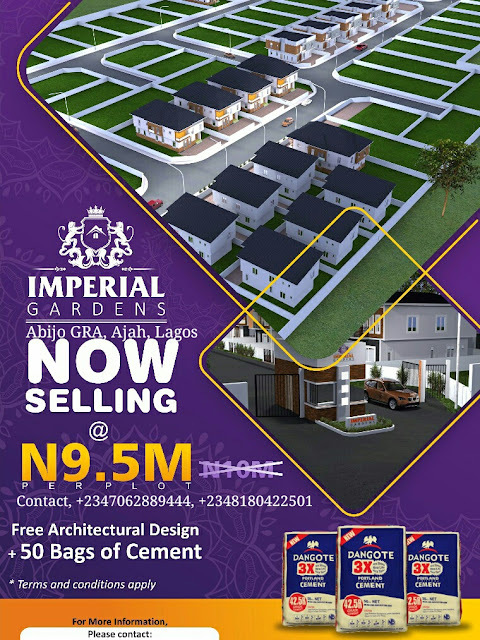 You can also get FREE architectural design plus 50 bags of cement when you pay outrightly.